On Monday, the National Highway Traffic Safety Administration released a report indicating that motorists who drive vehicles with airbags made by Takata could be in grave danger. The airbags are designed to inflate and protect motorists in the event of an injury, but instead, they can explode, causing the death of the driver. In at least four instances, motorists have been killed in accidents in which their airbag exploded, covering them in shrapnel. Others have been severely injured. The problems are so dangerous the NHTSA is asking people not to carry passengers in the front seats of the recalled vehicles – but you may not even want to drive these vehicles after reading about these problems. Most of the vehicles are older models, some going back to 2001. Motorists should check their vehicles as soon as possible. The NHTSA recall affects about 4.7 million vehicles throughout the U.S., though safety experts have put the number at 12 million world wide. The recall includes vehicles made by Toyota, Honda, Nissan, Mazda, BMW and General Motors. If you are unsure if your car has been affected by the recall, you can enter the Vehicle Identification Number (VIN) on your registration paperwork and enter it at this web site to check: http://www.safercar.gov/. All drivers nationally can use this, including drivers in Kentucky and Tennessee who are concerned with this product recall. You can read the full report and find specifics on the recall here. The most recent death due to the faulty airbags was Hien Tran, who was driving a Honda Accord and was involved in an accident. She was taken to a hospital with critical injuries. Detectives were called in to handle the case because her injuries looked just like stab wounds and were all over her neck. The detectives worked to find who might have done this to her. The answer came after her death when she received a letter in the mail from Honda urging her to have her vehicle checked, as it might have defective air bags. It was too little and too late for her. Another motorist in Florida says she was sprayed with metal fragments when her air bag deployed, and it caused her to go instantly blind. She thought she would die, but she miraculously survived. Her story is here. News reports indicate that the car manufacturers have known about these defects for nearly a decade but have not worked to resolve any problems. Some reports have indicated the company thought the problems were limited to high humidity climates. But this recall casts doubt on any reliable information from the manufacturers. Consumers may have to push for cars that are safe and you may need an attorney to help you do that. If you own one of these vehicles, do not wait to receive notification from the manufacturer. This defect can be deadly. Contact the dealership that sells your brand of vehicle immediately for assistance. 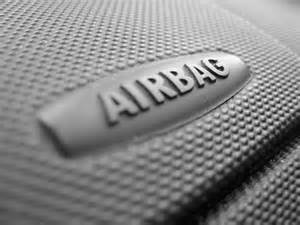 If you or someone you love has been injured in a car accident involving a faulty airbag, please talk to an experienced attorney right away. Our experienced lawyers will fight for you, and help you get the attention you need for your case. Call us at (270) 781-6500 or contact us using our contact form here. We regularly handle car and tractor-trailer accidents and consumer product safety cases. You can read more about our practice here.